Studies show that higher intakes of EPA and DHA Omega-3 help to support some of the most relevant areas of heart health. * Research even supports that the consumption of these fatty acids may reduce the risk of coronary heart disease! ** Address one of todayâs most common health concerns with our simple, easy to take krill oil supplement! Fish Oil and Kill Oil supplements from MegaRed are packed with 2 times more Omega-3 than standard fish oil supplements. Dial back your daily pills by taking just one Omega-3 supplement to support heart health and joint health. Our convenient softgels are even smaller than a standard fish oil pill from our competitors. Add Omega-3 to your daily schedule the easy way with MegaRed! Commonly found in fish and other seafood, Omega-3 fatty acids are the essential building blocks of living cells. The problem is, up to 98% of people donât get enough of these nutrients from diet alone. Thatâs where MegaRed comes in. These krill oil and fish oil supplements contain 2x more Omega-3 than standard fish oil pills in a single easy-to-take supplement. Krill are tiny crustaceans that thrive in the frigid waters of the Antarctic. 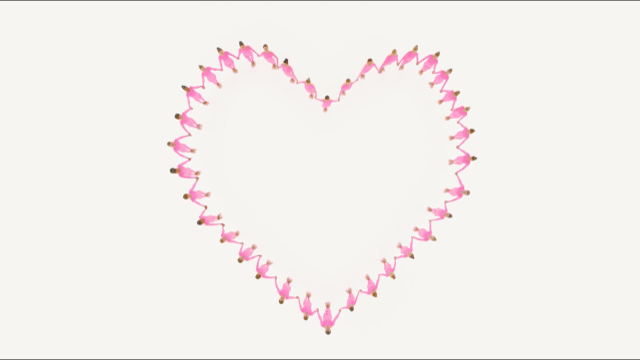 Unlike fish oil, oil from krill is stored in phospholipid form, the same way as cells in the human body. That means krill oil can be more easily absorbed in humans! 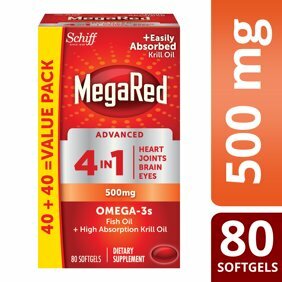 MegaRed uses just the right combination of krill oil, fish oil, and antioxidants to support your health. Choose MegaRed for a highly concentrated, high absorption Omega 3 supplement. Getting Omega-3 from krill oil is not only efficient, but eco-friendly! Harvesting of krill for MegaRedâs Omega-3 supplements is well below conservative international catch guidelines. MegaRed even sources exclusively from the Antarctic, where krill is most abundant. Also found in krill, astaxanthin has similar health benefits to EPA and DHA. This compound is commonly used in Omega-3 products to help support heart health and joint pain. It also functions as an antioxidant to help break down toxins in the body! Astaxanthin works to round out this Ultra Strength MegaRed formula to supplement your diet with helpful antioxidants! One softgel provides 750 mg of ultra strength Antarctic krill oil. Made with the powerful antioxidant astaxanthin to help your body break down toxins and contaminants. Packed with omega-3 fatty acids, the building blocks of cellular health. MegaRed Krill Oil is carried in phospholipid form, the same as your body’s cell membranes, allowing MegaRed to be easily recognized and utilized for easy absorption. MegaRed Ultra Strength Krill Oil softgels have no fishy aftertaste, unlike fish oil pills. Guaranteed for purity, freshness, and labelled potency. Dairy-free supplement with no added sugar, salt, yeast, or wheat. Sourced from a fishery that has been independently certified to the MSC's standard for a well-managed and sustainable fishery. Stop Use Indications: Protected with a tamper evident seal. Do not use if seal under cap is broken or missing. WARNING: PEOPLE WITH SHELLFISH ALLERGY, COAGULOPATHY OR TAKING ANTICOAGULANTS OR OTHER MEDICATIONS SHOULD NOTIFY THEIR PHYSICIAN AND BE TESTED PRIOR TO TAKING DIETARY SUPPLEMENTS. NOTE: IF PREGNANT, BREASTFEEDING, OR ON PRESCRIBED MEDICATION, CONSULT YOUR PHYSICIAN BEFORE USING THIS PRODUCT. KEEP OUT OF REACH OF CHILDREN. Contains shellfish (krill). People with shellfish allergy, coagulopathy, taking anticoagulants, or other medication should notify their physician and be tested prior to taking dietary supplements. If pregnant, breastfeeding, or on prescribed medication, consult your physician before using this product. Keep out of reach of children. Protected with a tamper evident seal. Do not use if seal under cap is broken or missing. Ingredients: Astaxanthin (from Krill Oil) (at Time of Manufacture). Other Ingredients: Gelatin, Glycerin, Water, Sorbitol, Ethyl Vanillin, Sulfur Dioxide. No fishy taste and are effective.